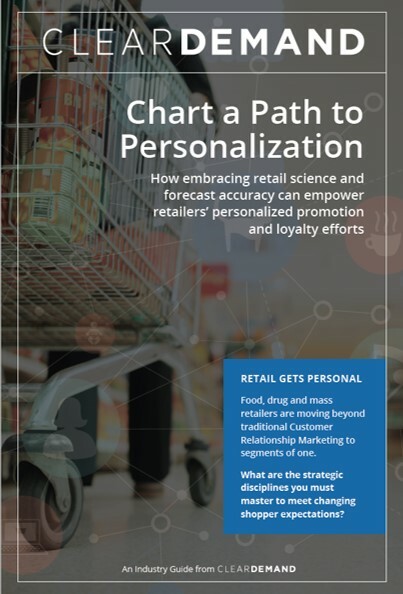 Personalized promotions are drawing intense interest among retailers, but most are still searching for the formula to get them done right – to reinforce shopper loyalty and deliver profits. Download this complimentary guide to gain insights into the following areas. Current Challenges: Learn about the most common pitfalls that plague promotions and what you can do to avoid them. Playbook Development: Get started on the right foot by structuring promotions the right way. Three Key Strategic Disciplines: Benefit from insights in three key areas- alignment of your resources, retail science, and optimal measurement. Real World Example: A case study that outlines how a leading retailer utilized these principles in generating real results through personalized promotions.